The Ambos Lados International Print Exchange is underway, as 50 print editions have already come in before Thanksgiving -- and more than 50 print editions are expected before the extended final deadline of December 15th, 2018. 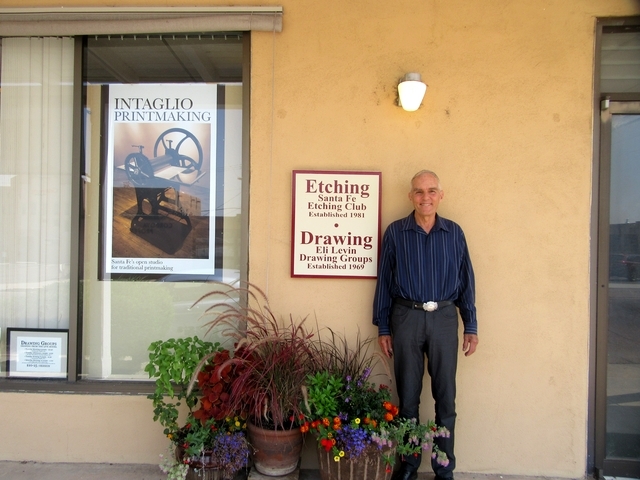 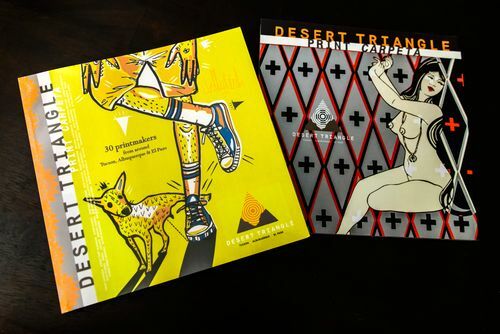 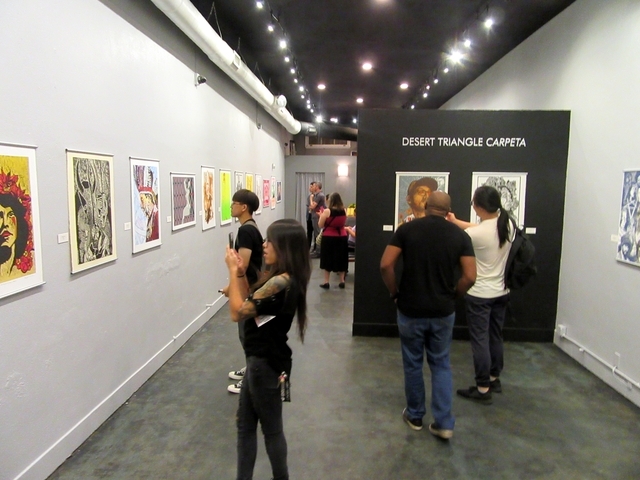 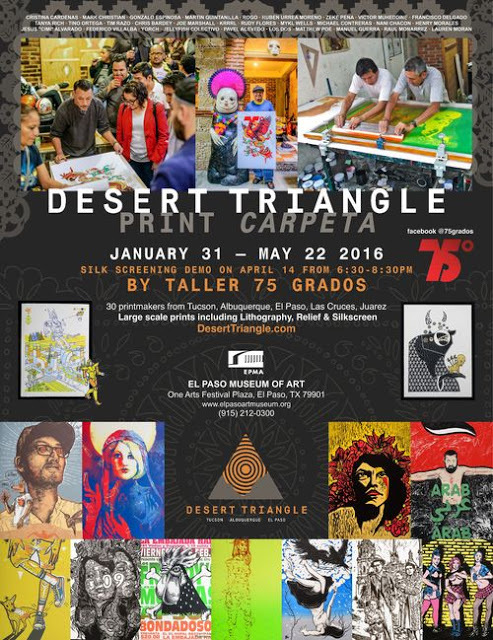 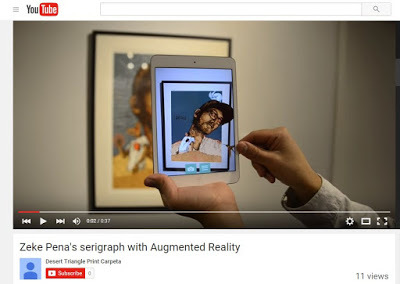 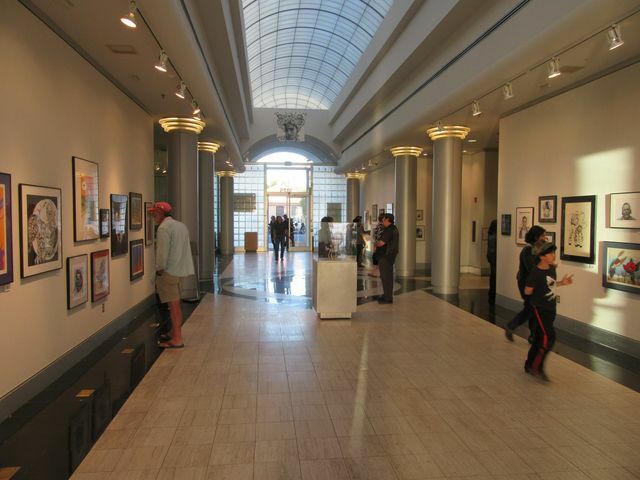 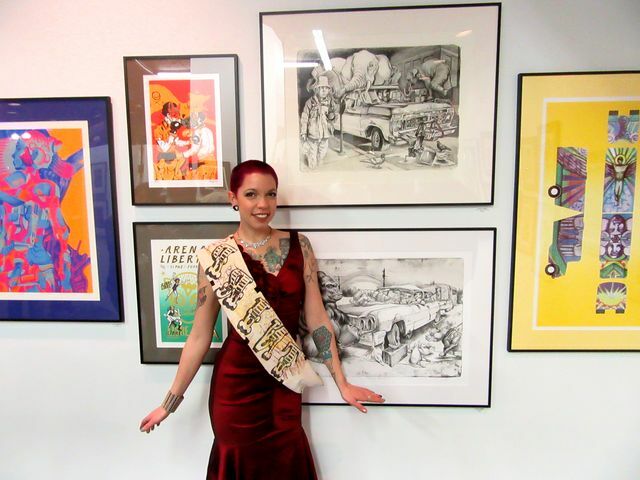 Many of the Desert Triangle artists are participating. 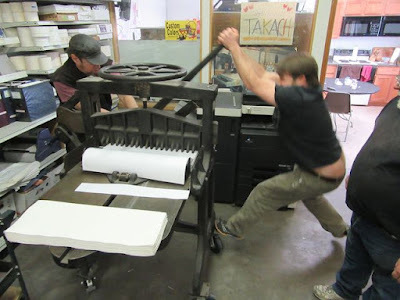 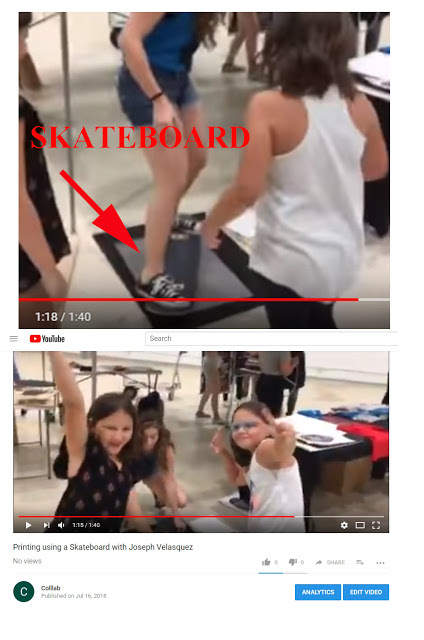 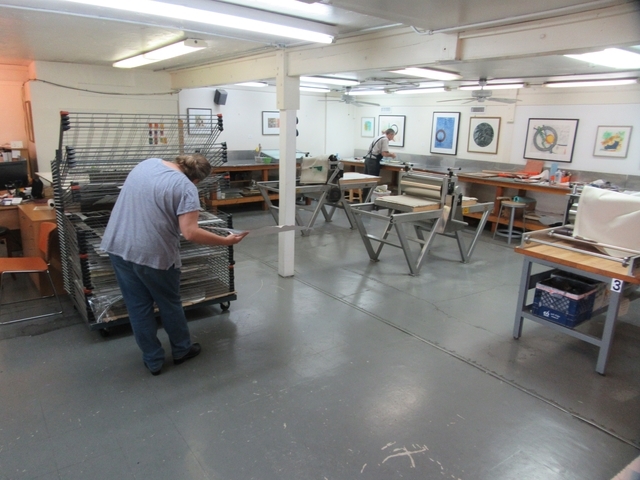 The print tsunami has begun, with our next big print project! 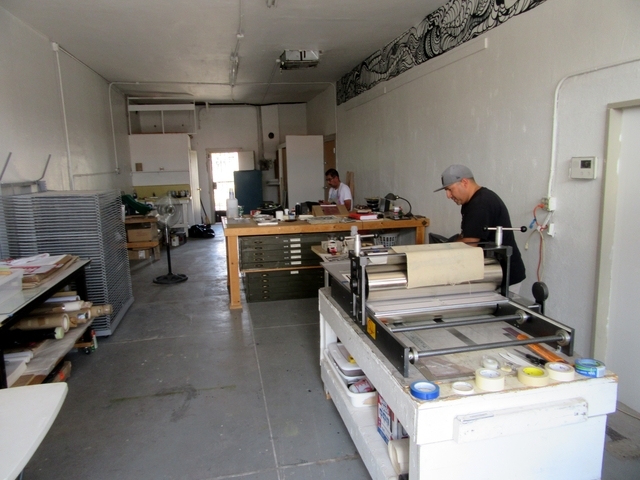 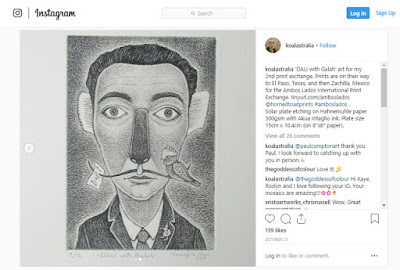 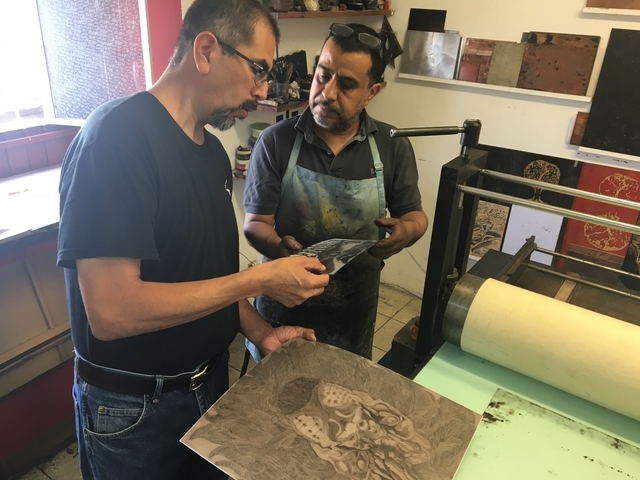 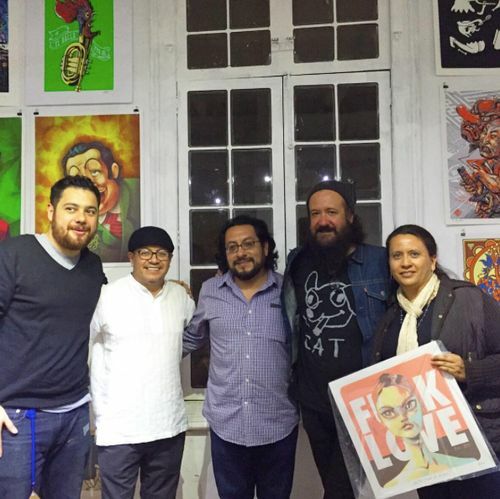 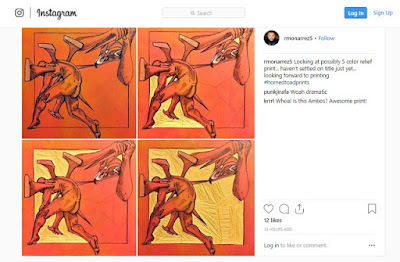 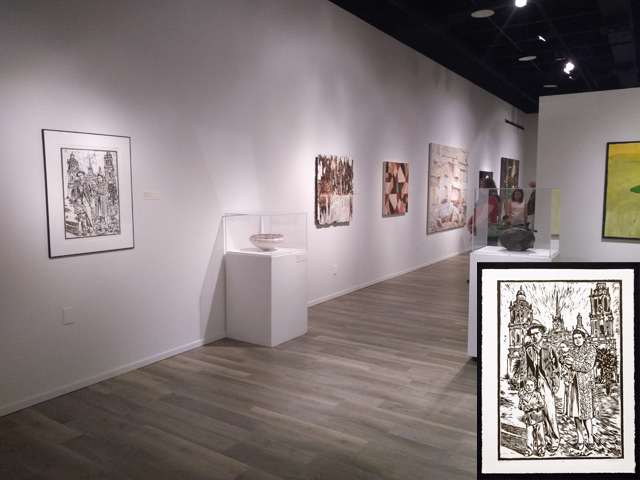 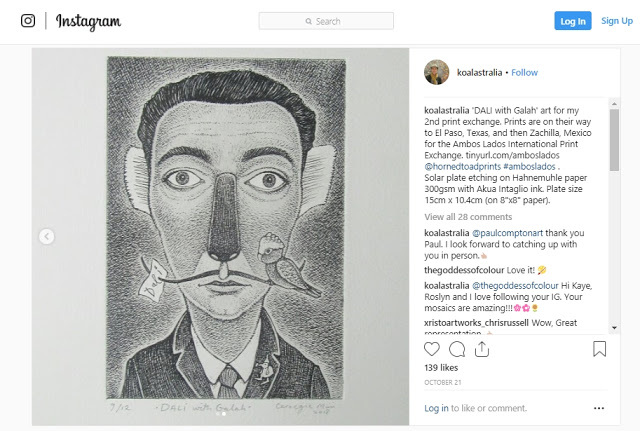 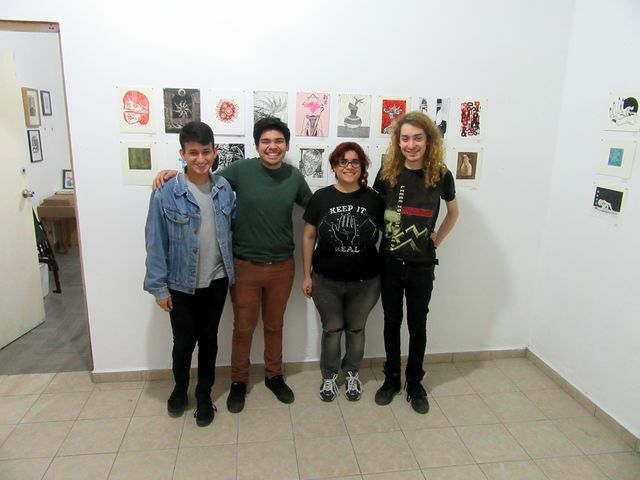 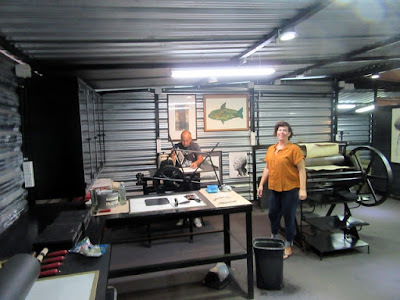 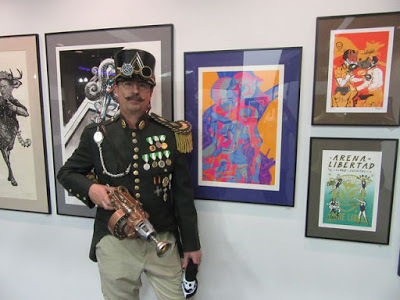 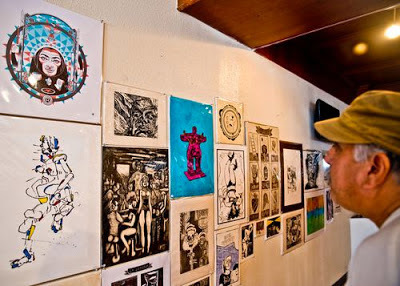 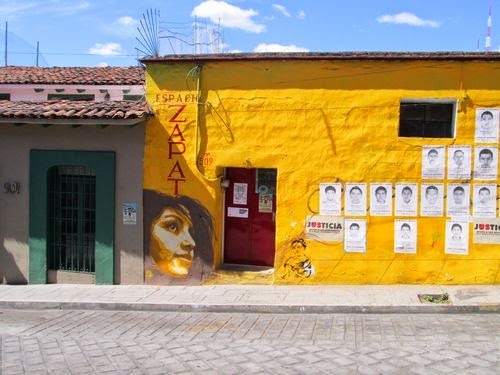 The Ambos Lados International Print Exchange is being run from both sides of the border -- by Manuel Guerra of the "Horned Toad Prints" studio in El Paso, and by "Taller Grafica Libre" in Zaachila, Oaxaca, run by Adrian Aguirre and Beatriz Rivas. 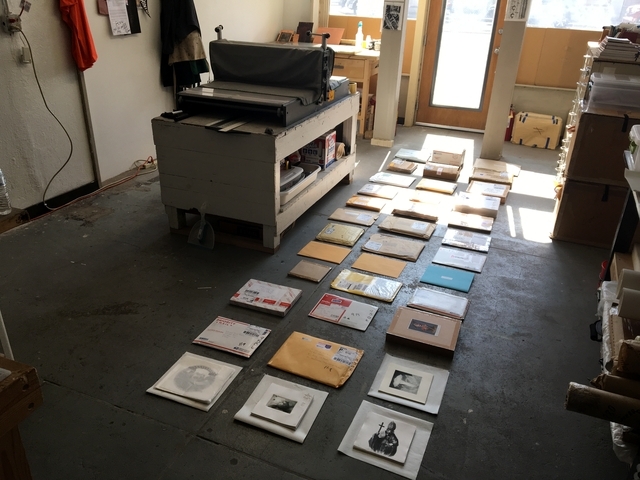 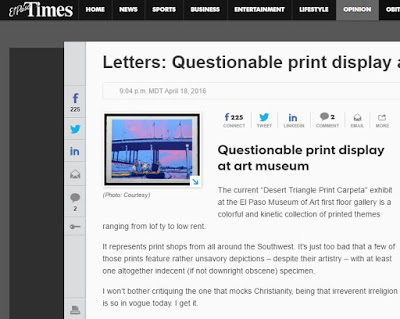 This print exchange asked for an edition of 12 prints, on 8 x 8 inch paper. Most participants are from the US and Mexico, though editions from Australia, Canada, Ireland and Cuba have been delivered. 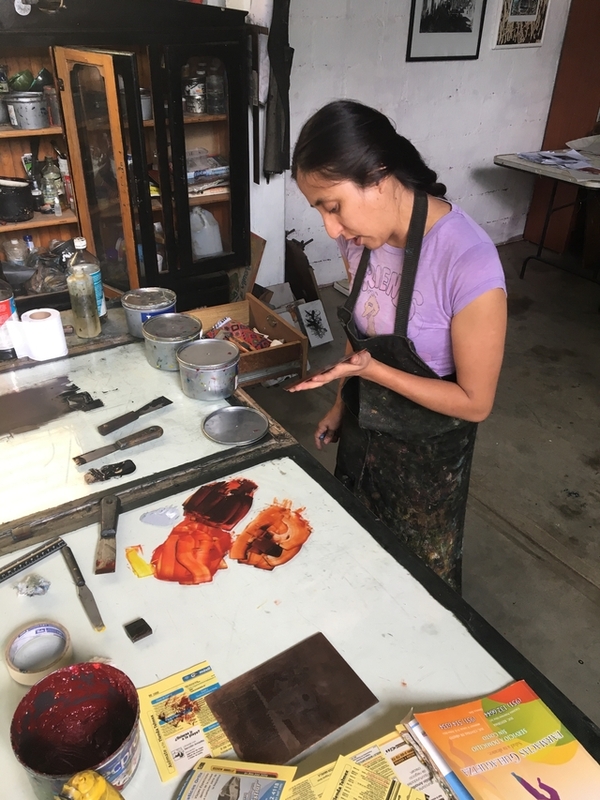 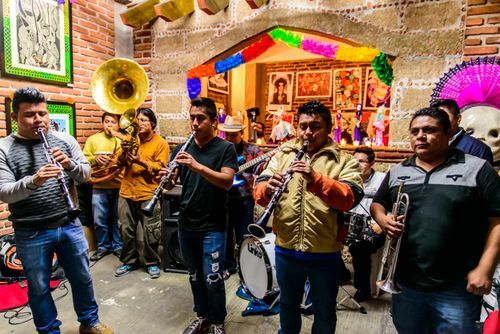 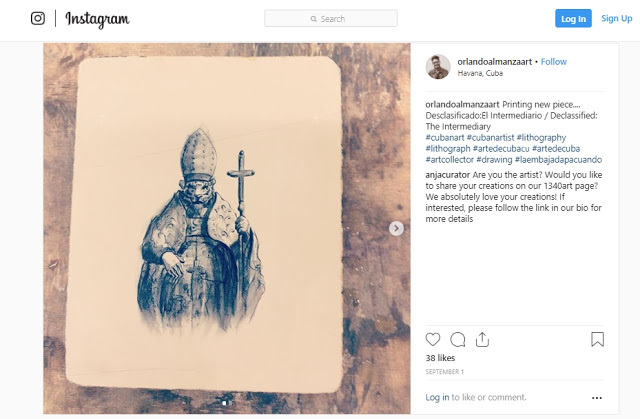 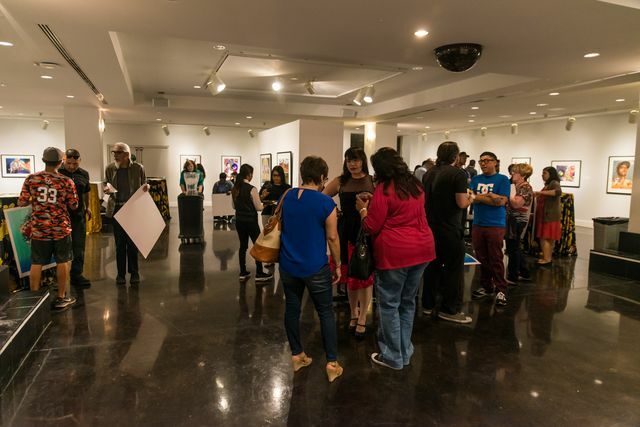 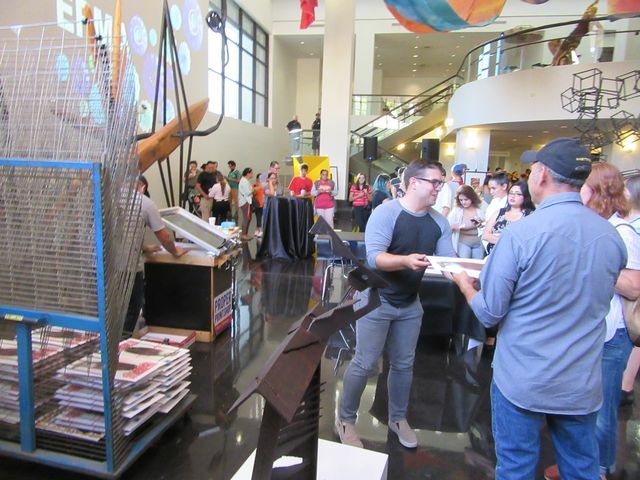 It all started after exhibiting the Horned Toad II Print Exchange last year (2017) in Oaxaca and Monterrey, Mexico. 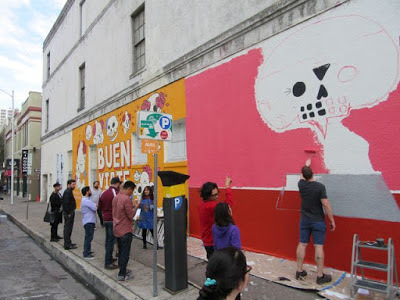 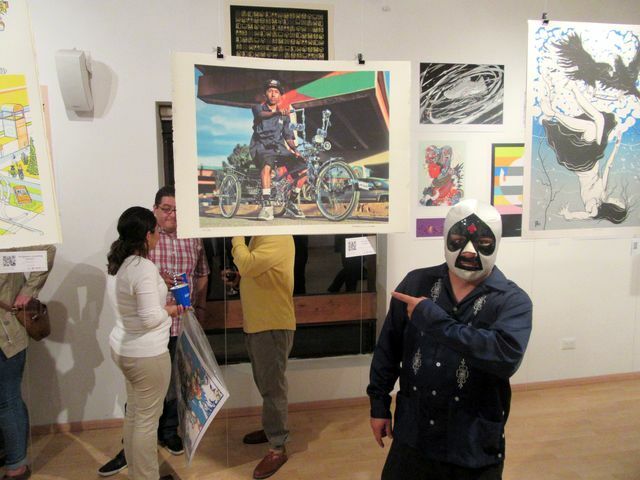 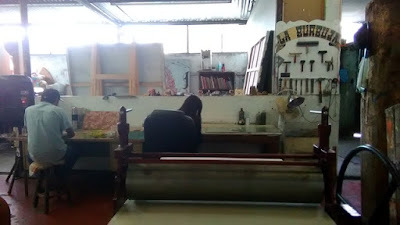 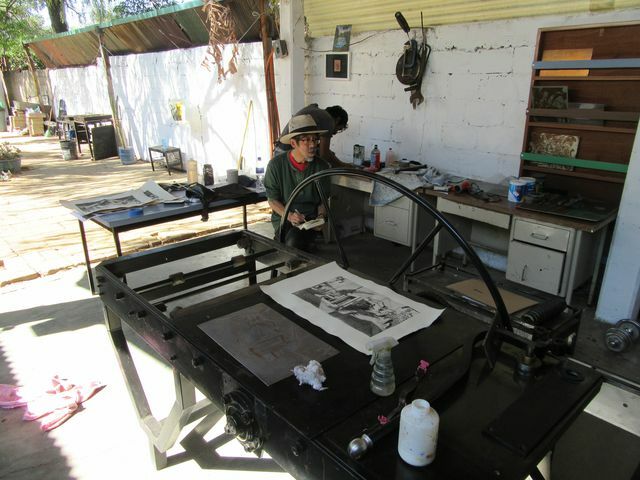 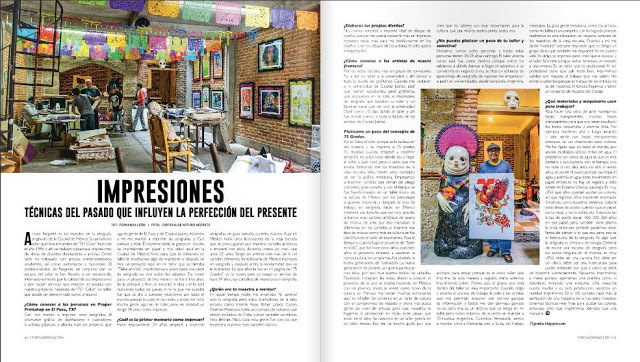 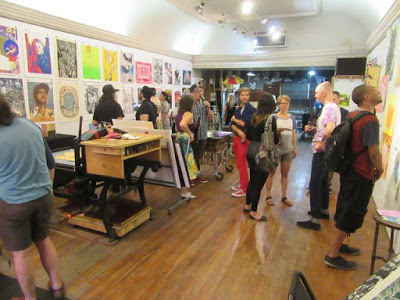 Many artists in Oaxaca participated in that print exchange, and were anxious to do something bigger. 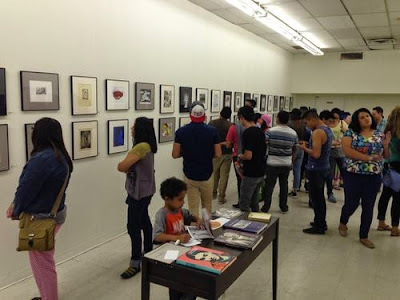 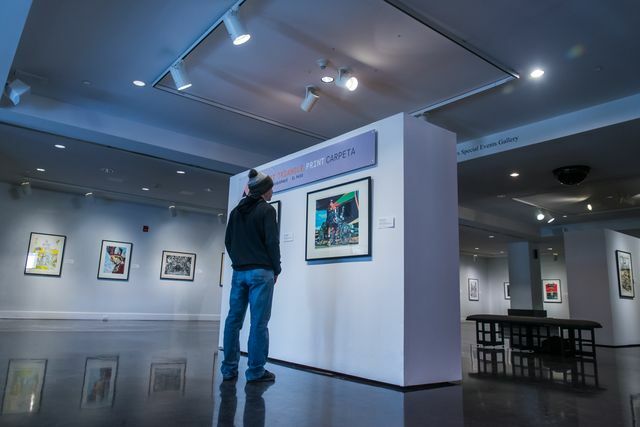 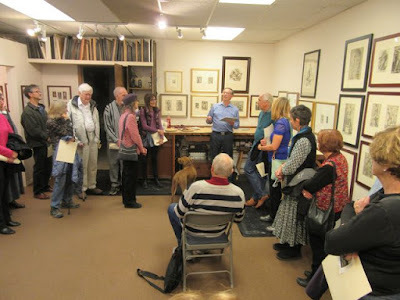 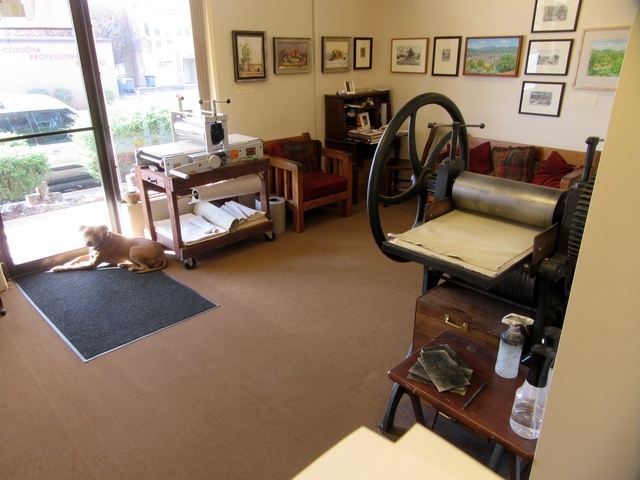 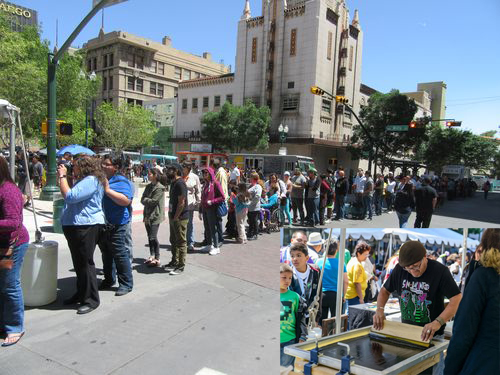 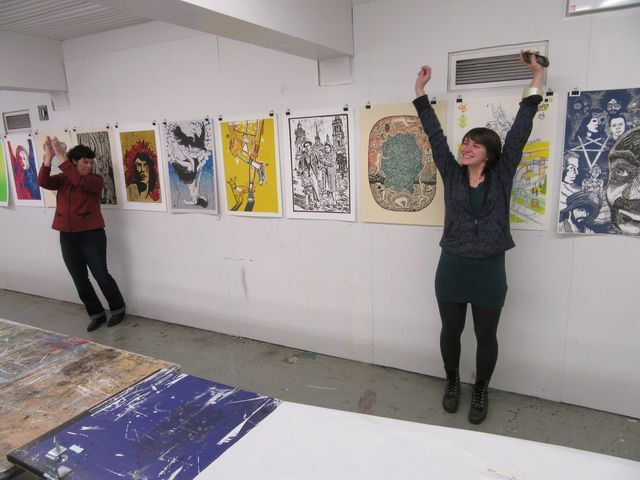 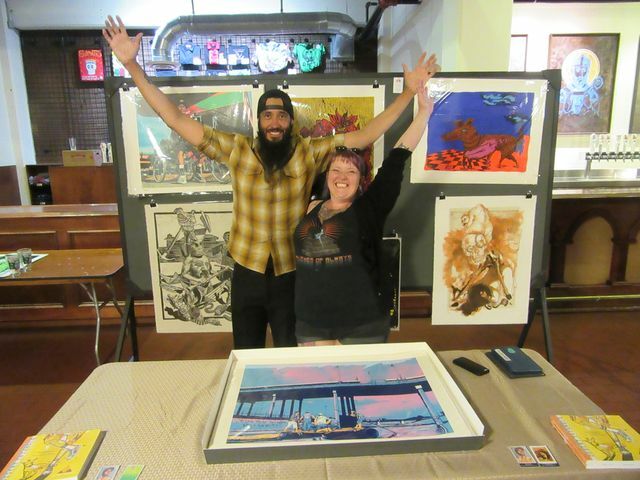 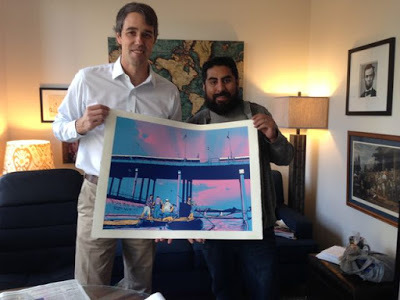 That was met by enthusiasm from the US side of the border, and thus this international print exchange was born. 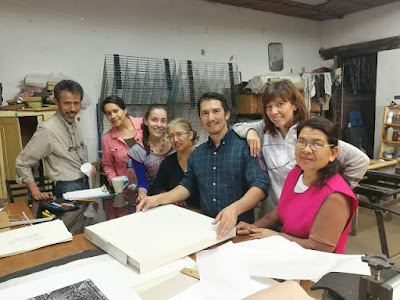 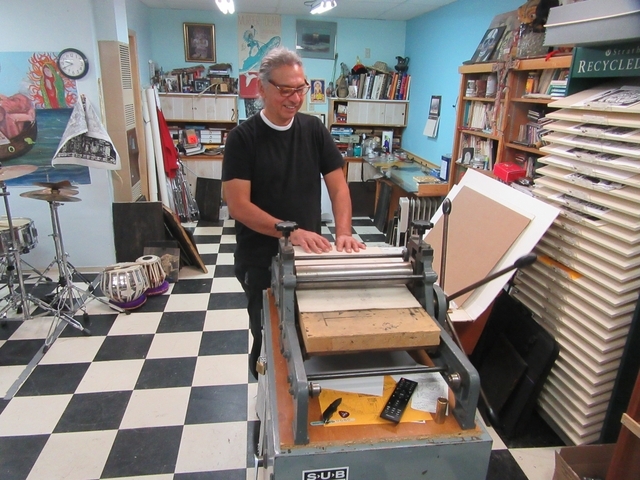 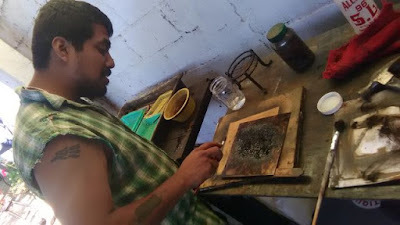 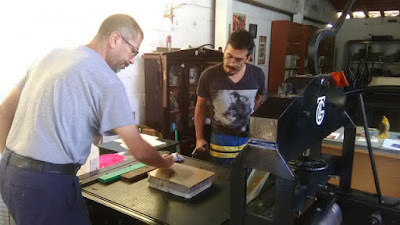 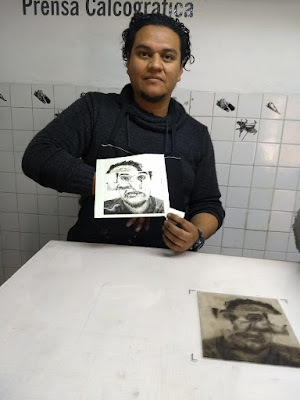 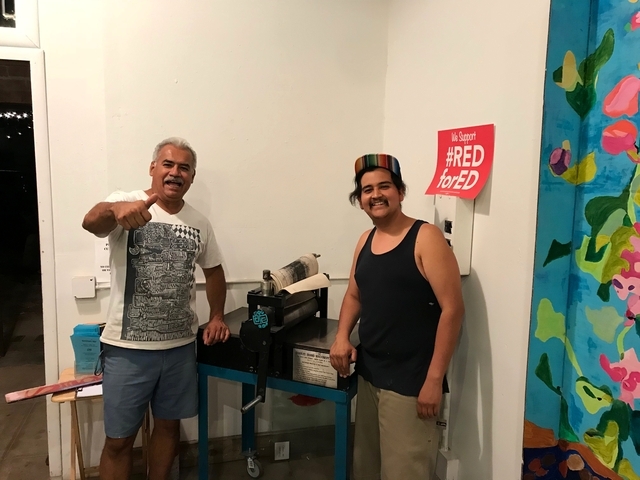 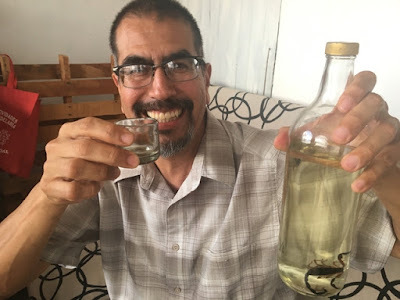 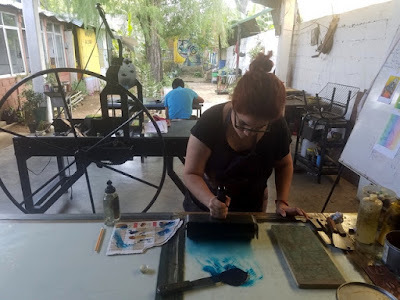 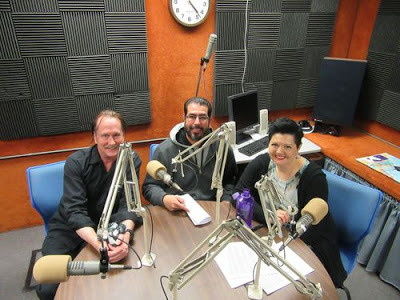 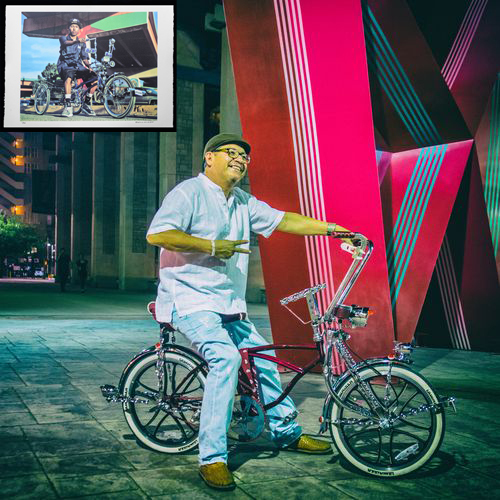 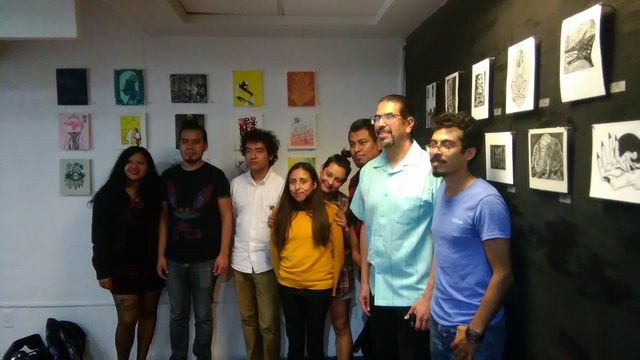 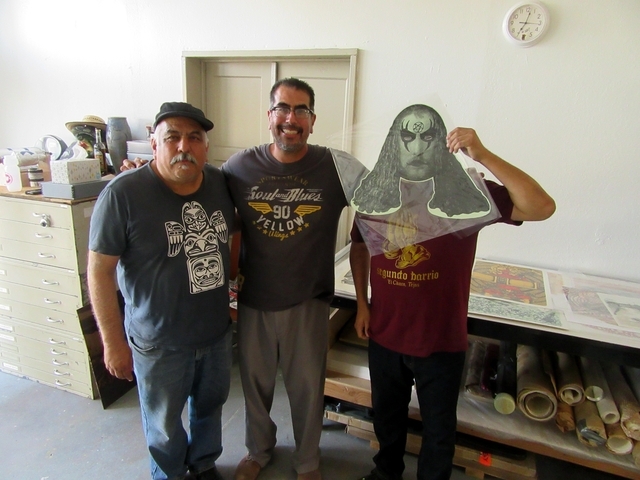 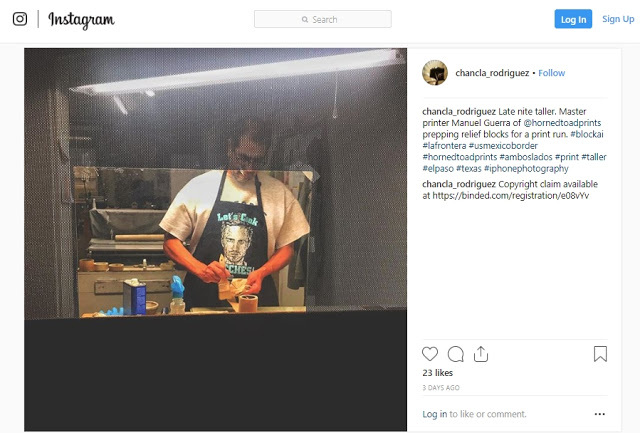 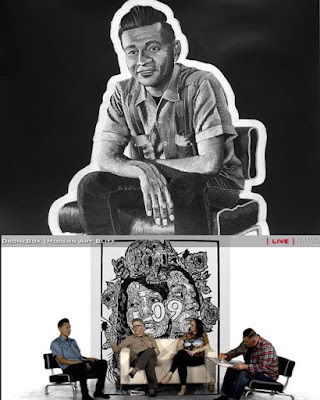 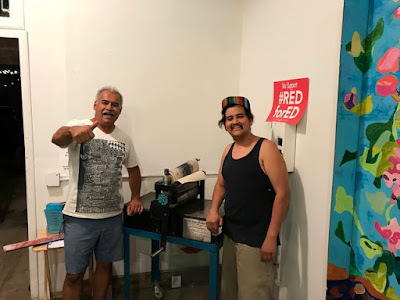 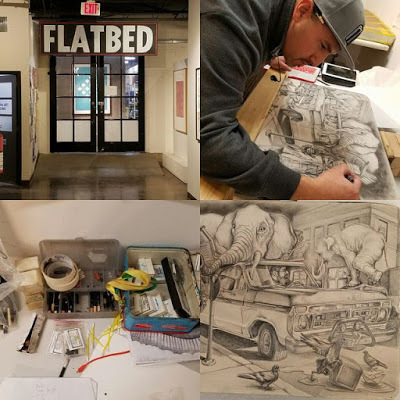 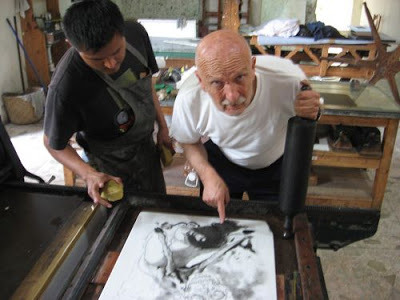 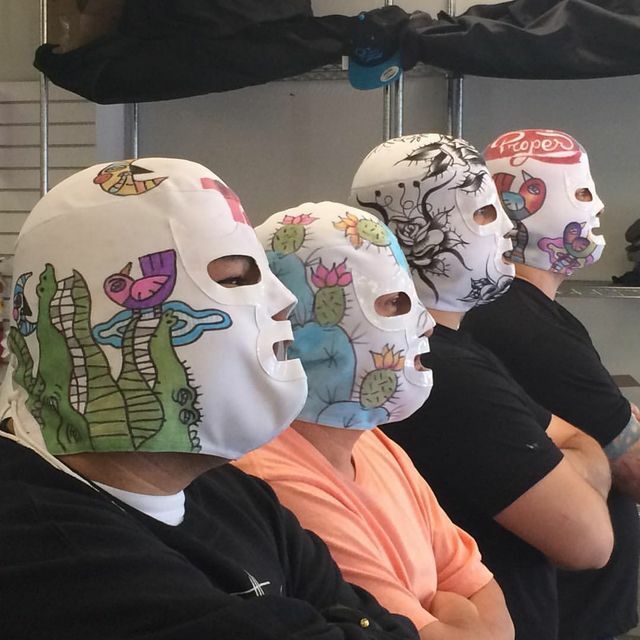 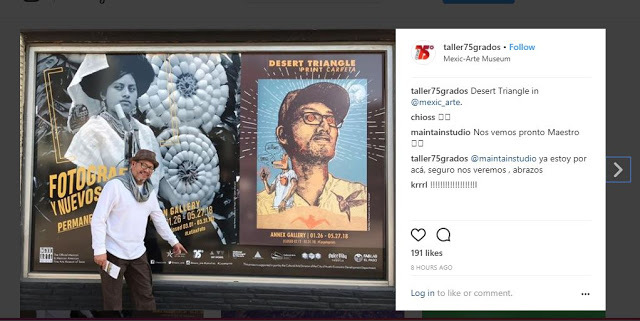 Manuel Guerra of El Paso, went down to work with the young master printmakers of Taller Grafica Libre of Zaachila, Oaxaca -- Adrian Aguirre and Beatriz Rivas -- in the summer of 2018. 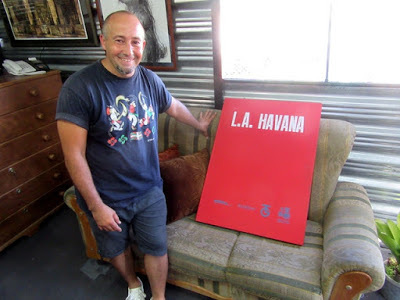 Two editions arrived from Havana! 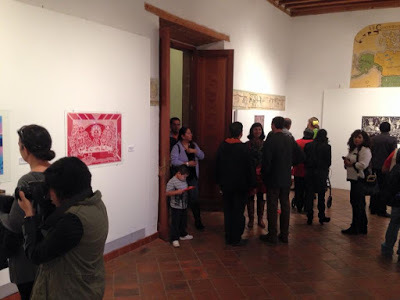 #ambosladosinternationalprintexchange -- our hashtag mysteriously appeared on Instagram.